"An explosion on April 20, 2010, aboard the Deepwater Horizon, a drilling rig working on a well for the oil company BP one mile below the surface of the Gulf of Mexico, led to the largest 'accidental' oil spill disaster in history. Residents who live along the coast of the Gulf of Mexico, all the way from Terrebonne Parish, Louisiana, to well into western Florida, continue to suffer acute symptoms attributed to ongoing exposure to toxic chemicals being released from BP's crude oil and the toxic Corexit dispersants used to sink it. Thousands of deaths along the Gulf Coast region have been linked to this toxic damage. This devastation is being deemed by many in the health and science filed as the equivalent of Agent Orange in Vietnam." 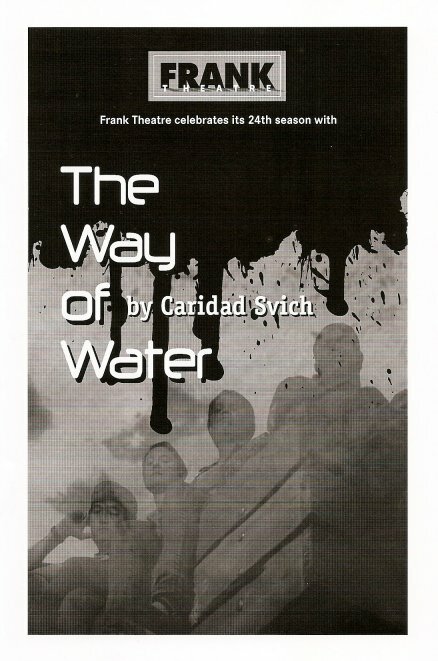 Such is the backdrop of Frank Theatre's new production, The Way of Water, playing at The Playwrights' Center now through the end of the month. This is a tragedy that's so huge in scope, it's difficult to think about in a real sort of way, as we watch it play out on the TV news. But this play personalizes it, telling the story of four people whose lives are drastically and devastatingly changed because of what happened. Jimmy and Yuki are friends and fishermen, making their living catching and selling fish on the gulf. They know nothing else; Jimmy's family has been in the fishing business for generations. After the oil spill they continue to do what they know, even though much of the water and fish have been contaminated. Their wives help out however they can, selling homemade flowers and found vases at flea markets. But the spill has taken a toll on their spirits and their livelihoods, and on their bodies. Jimmy experiences dizzy spells and "fits," but refuses to go to the doctor until it's too late. Jimmy and his wife are forced to leave their home, live with family, and try to make a life somewhere else. This solid four-person cast is led by H. Adam Harris as Jimmy. He's strong and sympathetic as a man trying to hold on to a lifestyle that no longer works, and Jimmy's "fits" are so real it's painful to watch. Hope Cervantes is an equal partner as his supportive wife Rosalie, trying to hold the family together with grace. Also good are Eric Sharp as Jimmy's fishing buddy Yuki and Emily Zimmer as Yuki's wife\Rosalie's best friend\Jimmy's ex. The writing, by Caridad Svich, is sparse and powerful. There are no wasted words; characters often speak in one-word sentences. The simple but effective set (by Joseph Stanley) is dominated by an unkempt and lived-in backyard, with the fishing pier overlooking it on the left. 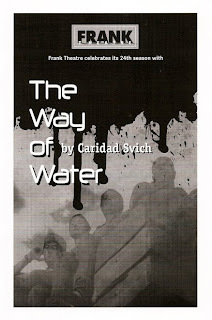 Surprisingly, this is my first Frank Theatre show since last year's fabulous, gritty, and moving production of Cabaret. I'm not sure what took me so long, but I'm glad I didn't miss this one. 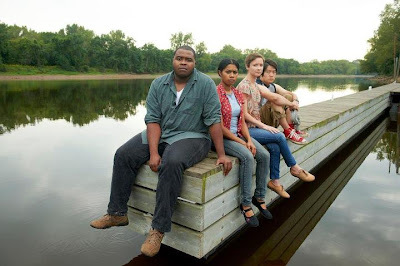 They do good work, important work, such as in this play (directed by Artistic Director Wendy Knox) - reducing the scope of an immense tragedy to something manageable, understandable, relatable, and human.